Our country, the Philippines, is a picture-perfect tropical archipelago comprising more than 7,000 islands. But these islands are far from similar to each other. In fact, each one of them has its signature beauty, geological lay, and characteristics. Some are made of towering karst formations, some are simply sandbars peeking out of the sea’s surface, and other are jagged rocky forest that jut out of the ocean. During our Experience Antique tour, we visited Mararison Island in Culasi, Antique, one of the most unique places we have ever visited. Where can you find small, isolated island where green, grassy hills blend perfectly with sandy and rocky beaches? We spent the night in one of the coolest places to stay in Antique. Thus, we woke up refreshed and ready for our next adventure. With breakfast still heavy in our tummies, we proceeded to the Culasi Municipal Hall and tourism office for a courtesy visit to Mayor Jose Jeffrey Lomugdang and other tourism officials. Strangely, we felt right at home in the municipal hall. That’s because we’ve been here earlier; that was during our side trip after we successfully climbed Mt. Guiting-guiting earlier this year. With the courtesy call and registration done, we proceeded to the dark gray beach, which is a block away from the Culasi Municipal Hall and just behind the public market. 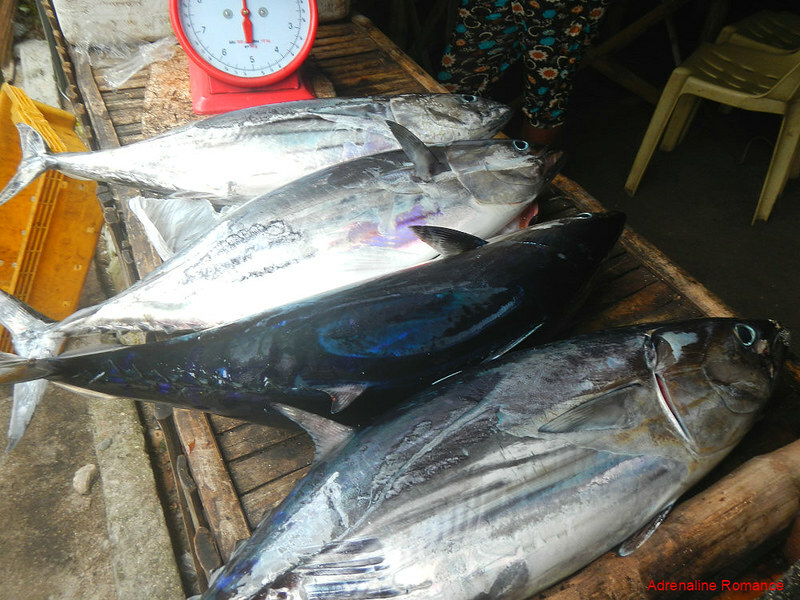 Locals are always assured of the freshest marine produce since fishermen simply haul their catch to the market with just a few steps. We boarded our small pump boat; well, that was easier said than done. 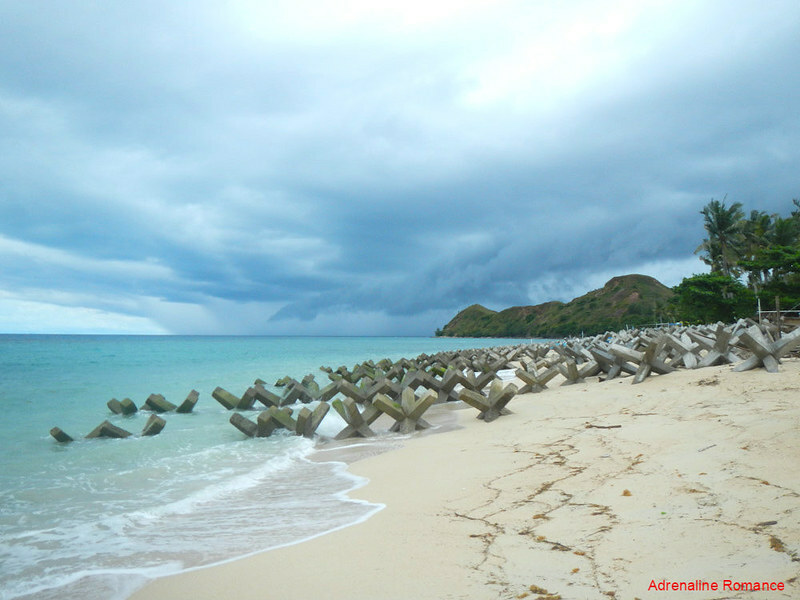 At the onset of the habagat (monsoon) season, the waves that were crashing on the shore were gigantic! A bit of timing was required so we can step up and board the vessel. Our guide and boatman—thank goodness for their immense strength—wrestled with the boat, trying to keep it steady. 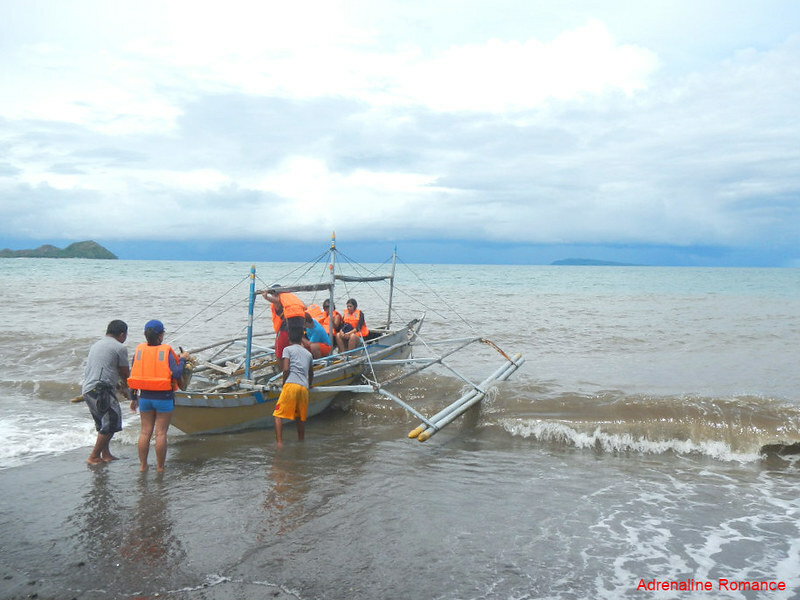 What was supposed to be a normal 15-minute crossing along a shallow 4-kilometer channel of water became a 30-minute bum-bruising boat ride. Waves were larger than usual, making the ride more like a roller coaster adventure. Yes, we had fun! As we neared the foliage-covered hills of Mararison Island (or Malalison Island), we saw ominous nimbus clouds in the distance. A huge thunderstorm was headed our way. We safely docked before the first sheets of rain from the thunderstorm touched the island. 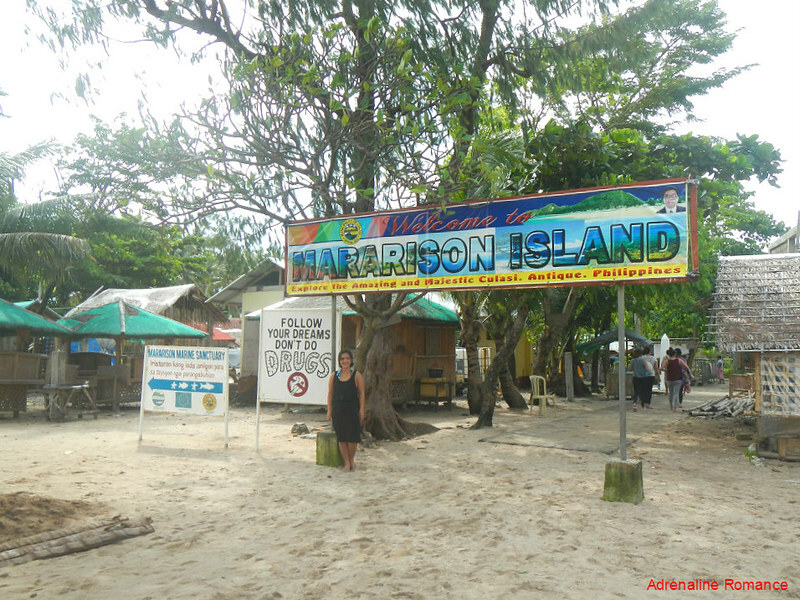 Welcome to Mararison Island! 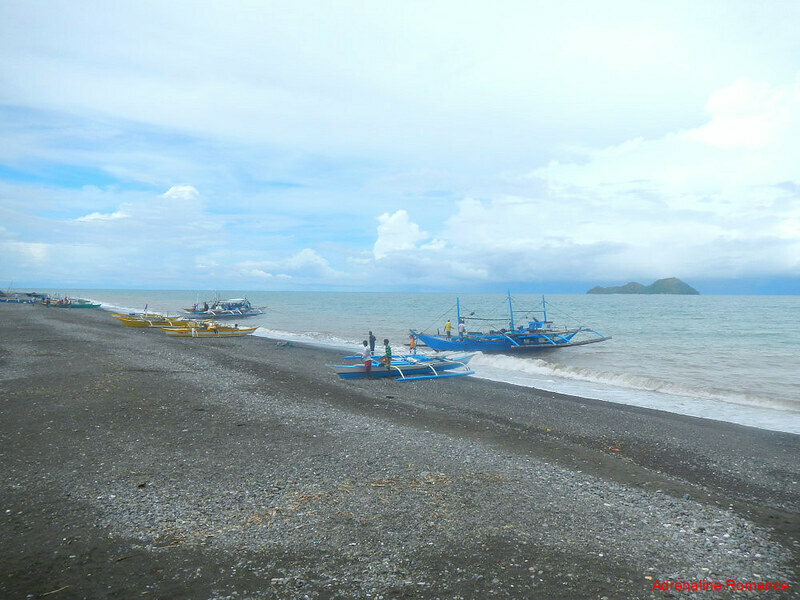 This lovely island including its community, marine sanctuaries, and hills are all managed by the Mararison Island Community-based Tourism Organization. “Follow your dreams and don’t do drugs.” That’s a very important rule in life. The only drug you should be addicted to is the drug of travel and adventure. Hehehe! We found shelter from the rain in one of the open-air nipa-and-bamboo cottages that line up the beachfront. Cottages and tables are available for rent at reasonable prices. While waiting for the rain to abate, we had a simple lunch of rice and spicy chicken adobo. Then it was time to check out the island. Right beside us was this bunch of large six-pointed concrete structures, similar to the jacks that are used to play knucklebones (jackstone in the Philippines), a popular children’s game. These structures are actually wave breakers; they act as sturdy barriers to protect the delicate coastline from deformation due to strong waves and currents. In time, these barriers will be placed in deeper water. There’s a nice beach and sandbar nearby—perfect for those who want to take a swim while enjoying a scenic view of majestic Mt. Madjaas in mainland Panay. Minute amounts of trash didn’t stop us from taking a swim, which is made more relaxing due to the surprisingly warm water. 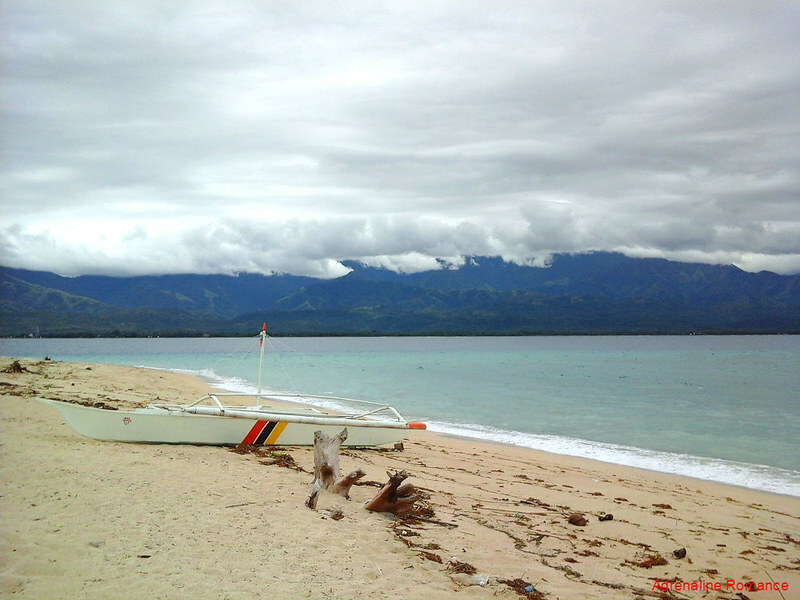 The sandbar, nicknamed kawit by the locals, often changes its curve, depending on the strength of the waves. During low tide, the kawit stretches 100 meters towards the mainland. Like happy dragonflies, colorful fishing boats, passenger boats, and private boats all vie for a space in the sandy beach. 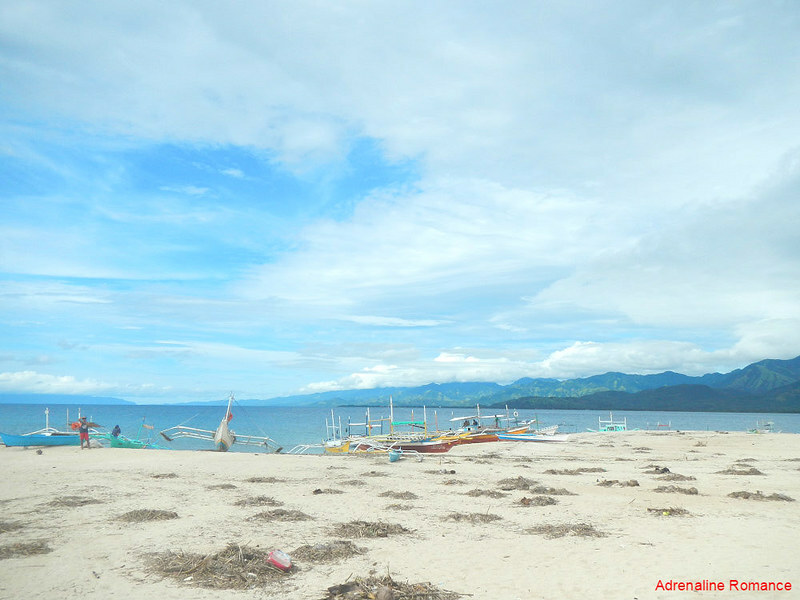 After several hours of swimming, getting out of the water to snack on leftover adobo, chatting about our trips and adventures, and getting in the water again, we decided to explore more of Mararison Island. 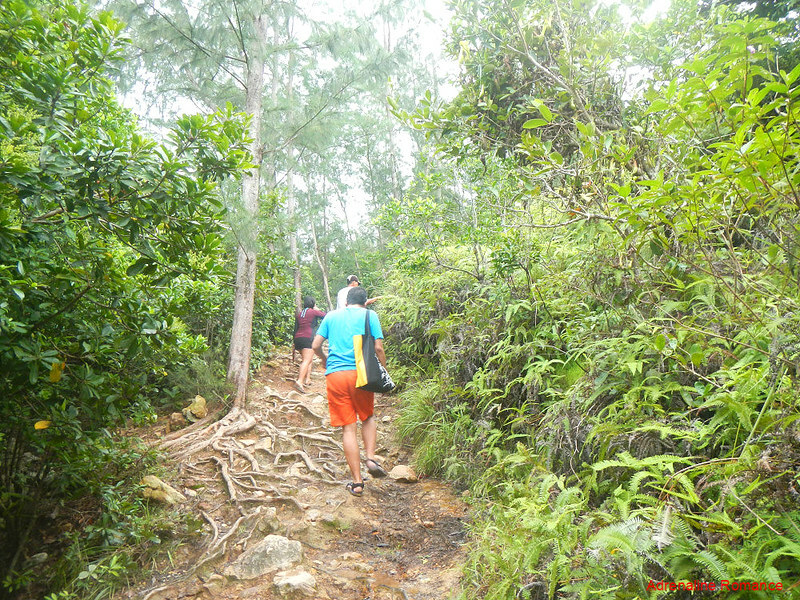 This involved a nice, slow, and relaxed hike on a well-established trail that cuts across the island. 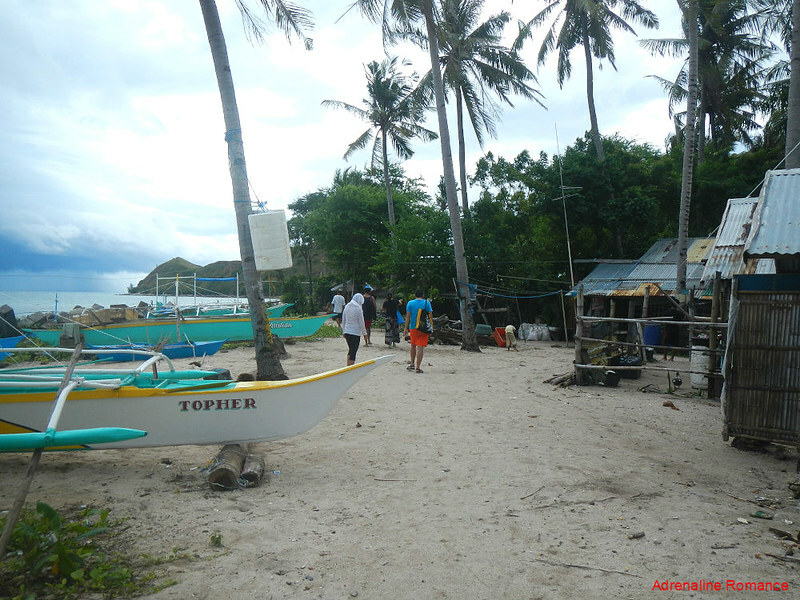 With friendly natives living in a self-established community, Mararison Island is a fun and lively place. Traditional activities such as listening to soap operas on radio, manually unraveling knots in fishnets, drinking tuba, building boats, and more are still very much alive and practiced here. With all the confusing modernity in our daily lives, visiting Mararison Island lets us re-live an era where life was simpler, happier, and quieter. 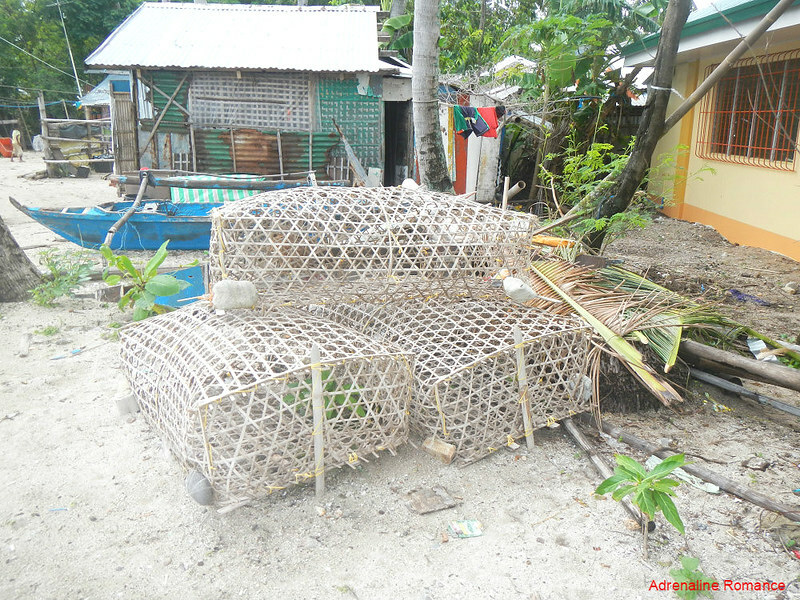 These are ingenious crab traps made of thinned bamboo strips. A bait of some sort is placed inside each contraption. Fishermen then lower them deep into the sea where they are held in place by weights. Soon, the traps are filled with crabs, lobsters, crayfish, and other crustaceans that are lured by the bait. After a few days, fishermen go back into the deep and extract these traps filled with fresh, juicy crustaceans that are then sold in the market. 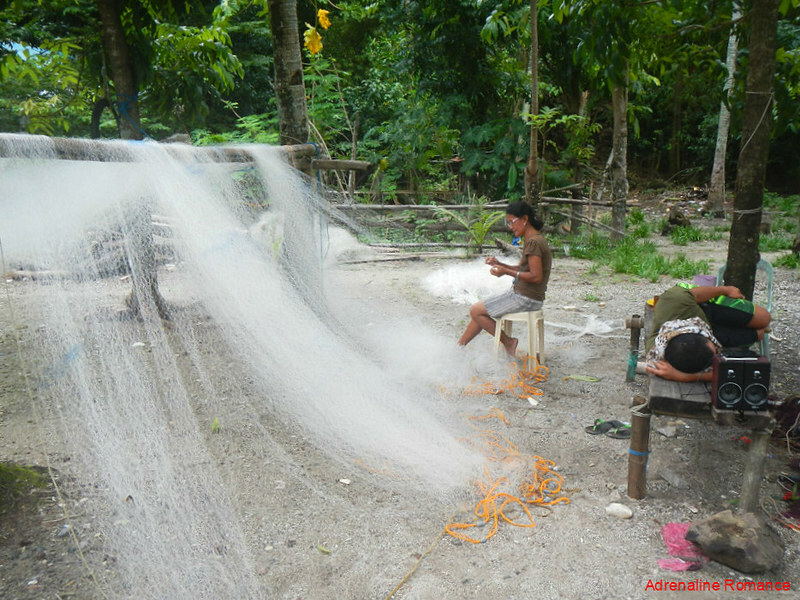 Because these waters teem with marine life, fishing continues to be the main livelihood in Mararison Island. Check out these large fish; they have thick and healthy meat. Look at that beautiful hill! Amazingly scenic, isn’t it? The beaches of Mararison Island are varied. 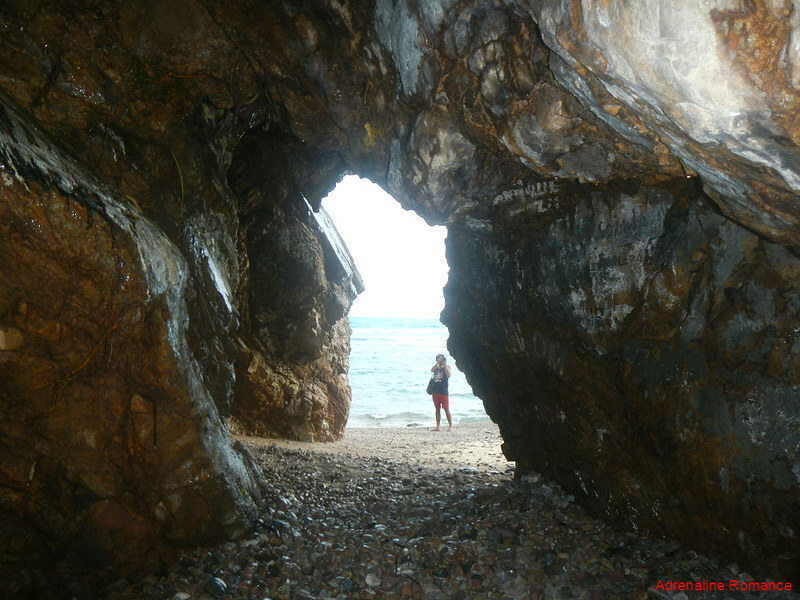 In this part of the island, sea-borne rocks rather than fine sand litter the beach. Constant erosion by waves polished these rocks to pebble-like smoothness. The end of the small community was marked by an off-road uphill trail characterized by roots and rocks. Earlier, the rain saturated the surface, making the trail quite muddy and slippery. Strange as it may sound, conifers grow tall and healthy in this tropical island. Normally, they grow in high altitudes or in places with temperate climates. Nature, like love, works in mysterious ways indeed! We took shelter in the village’s elementary school when an unexpected downpour caught us on the trail. 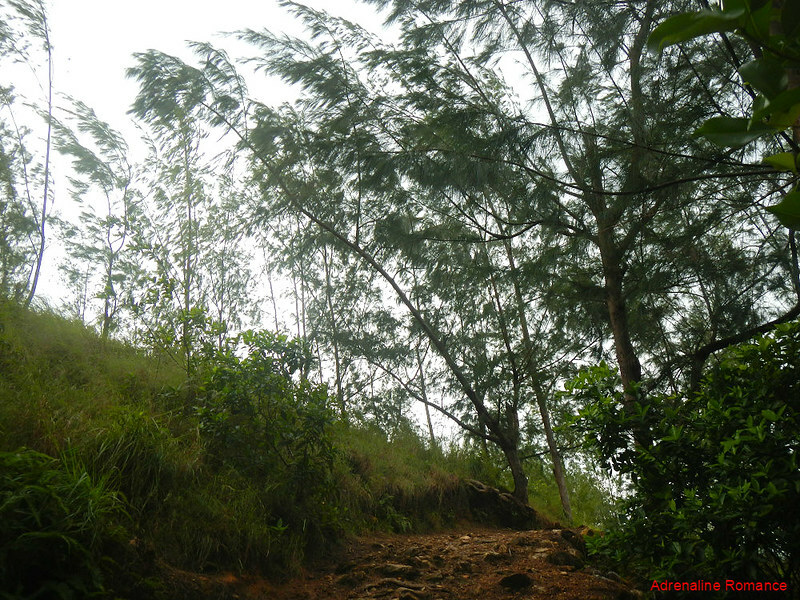 When the rain stopped, we continued our trek uphill. Soon, the light woods opened up to a stunning view of green, grassy hills. 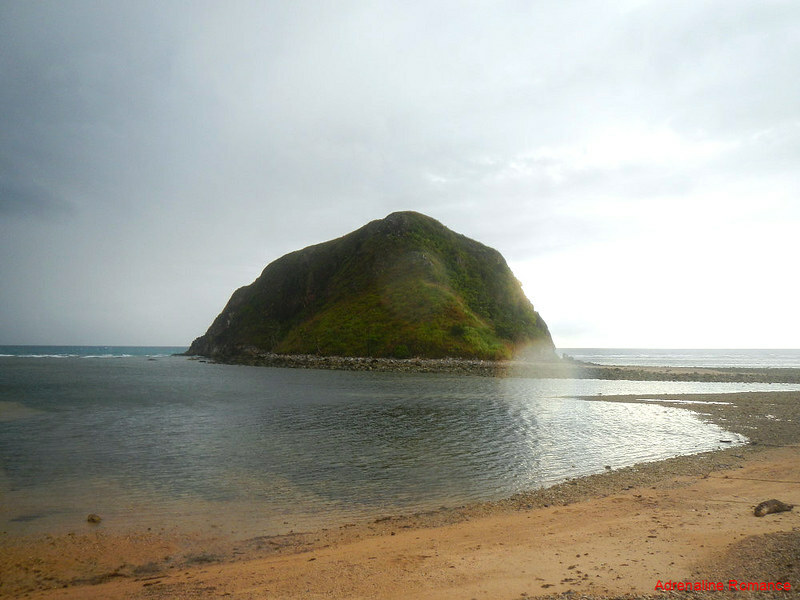 They look very much like the vaunted islands of Batanes that we often see in Facebook and other travel blogs. Along the trail and hilly slopes, we found critically-endangered tropical Nepenthes Abalata pitcher plants. We also found pitchers similar to these in Sibuyan Island. 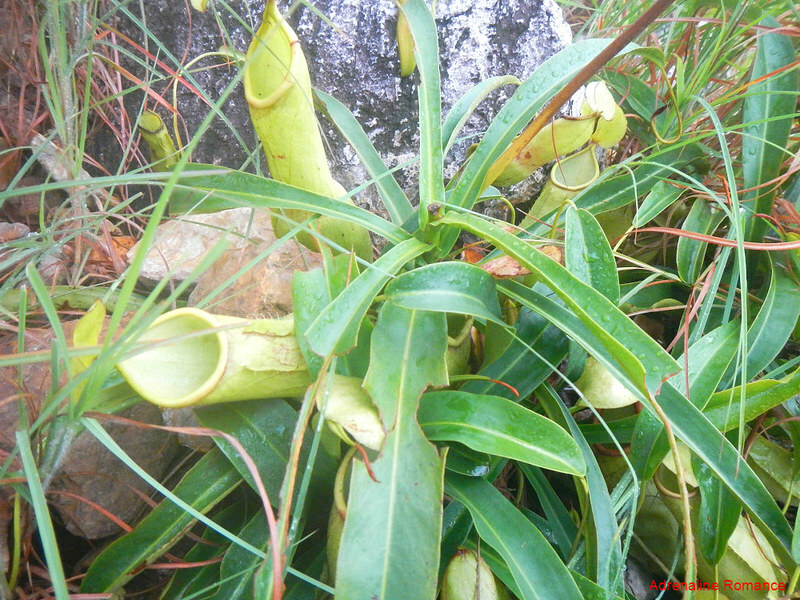 The presence of these pitcher plants so far away from the mainland suggests that Mararison Island, like Sibuyan Island, is geologically separate from any major landmass since its birth. If so, it means that there are endemic species of flora and fauna here. 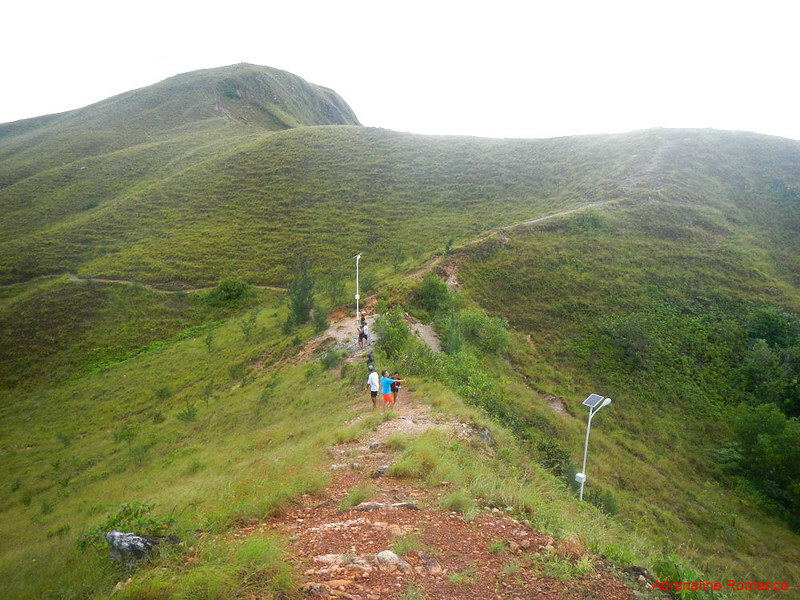 The ridge trail that led to the highest point of Mararison Island offers visitors a great view of the island’s hills. Carpeted with shrubs and grass, they look utterly beautiful. Also, check out the ground. The reddish soil means that these hills are rich in iron deposits. Note the solar-powered lamp posts as well. 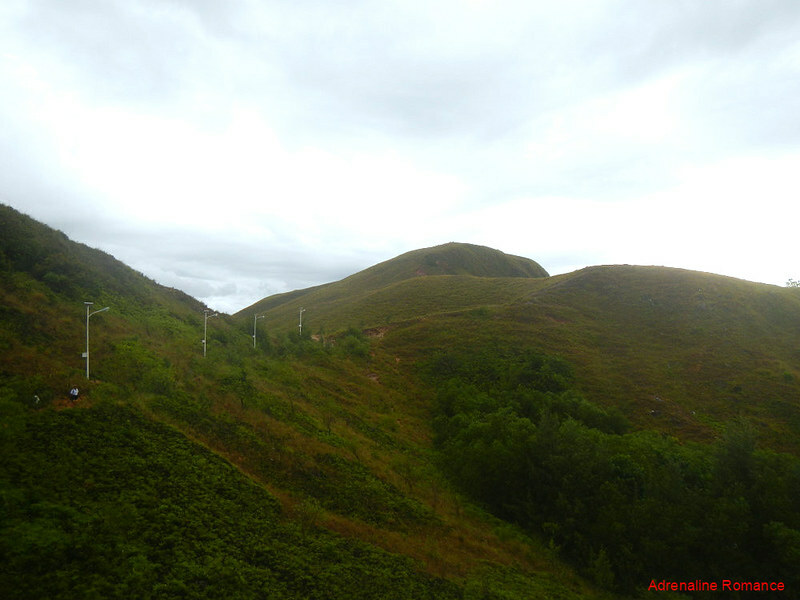 The trail led to the highest point in the island, marked by a solar-powered radio antenna. We whooped in amazement as we saw 55 hectares of unprecedented grandeur. From its lovely beaches, aquamarine waters, to its picturesque hills, Mararison Island is a repository of natural beauty at its finest. 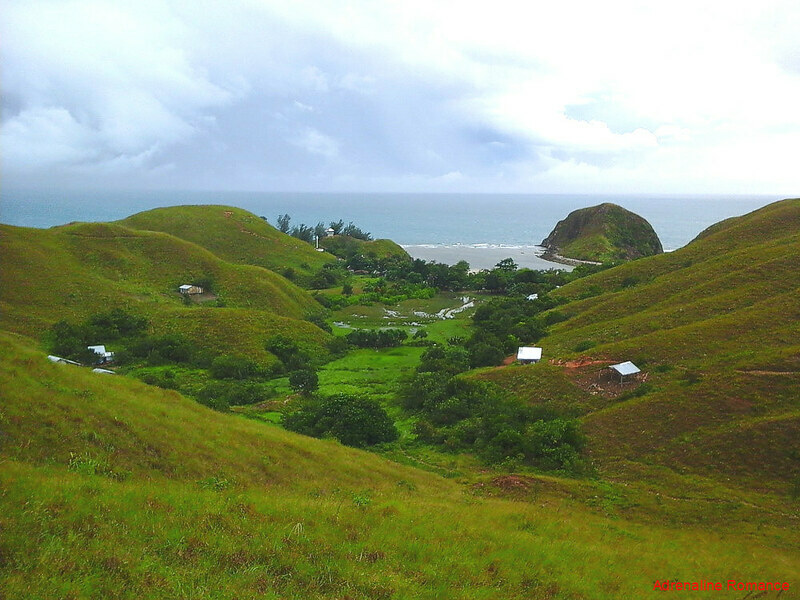 White caps caused by strong monsoon winds break up the smooth green-blue sea. Don’t you just love that really cool view? An amazing peninsula of white-sand beach faces the eastern side of the island. It’s not difficult to understand why that beach is a local—and tourist—favorite. Check out the aquamarine water; we bet no one can resist jumping into it. More importantly, from this vantage point, it is evident that Mararison Island is rich in seagrass beds and coral fields. There is more to Mararison Island than just spectacular vistas and beaches. Continuing our hike towards the west end of the island, we came across a small rice farm nestled in a fertile bowl surrounded by grassy hills. Apparently, agriculture is also an important industry in the area albeit in a very local scale. Most probably, the imposing hills act as walls to prevent seawater from saturating the soil with too much acid and salt. 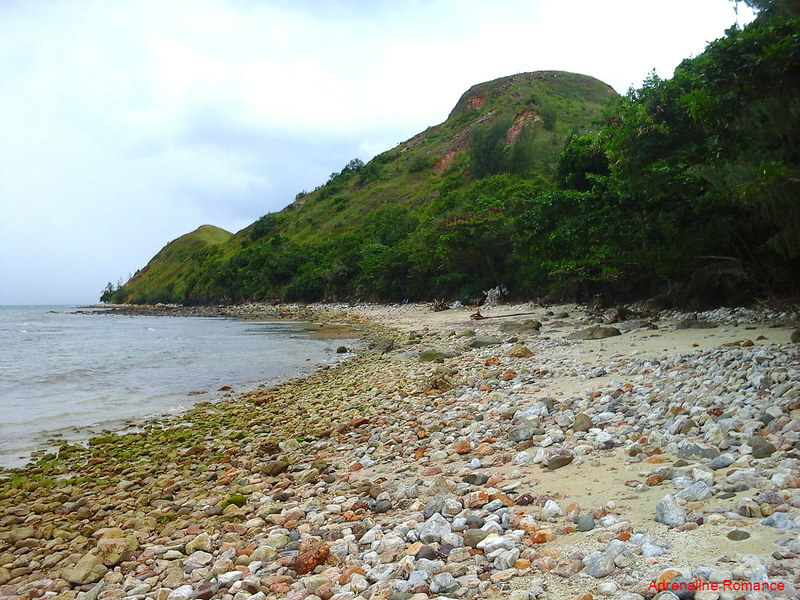 After a 20-minute hike from the summit of the island, we arrived at a secluded cove covered with coarse brown sand and remnants of dead corals and shells. But the highlight of this cove is this gigantic grass-covered rock outcropping, standing guard for millions of years. If not for a lack of time, Sweetie and I would have loved to climb up that outcropping. The unique curves and lines of this rock face makes the hill look like some sort of an unnameable monster that has been ripped off from an epic Dungeons and Dragons game. Can this be Cthulhu’s pet? Check out the shrubs, grass and dwarf trees that cover the top part of the formation. We found a small cave at the base of the hill. 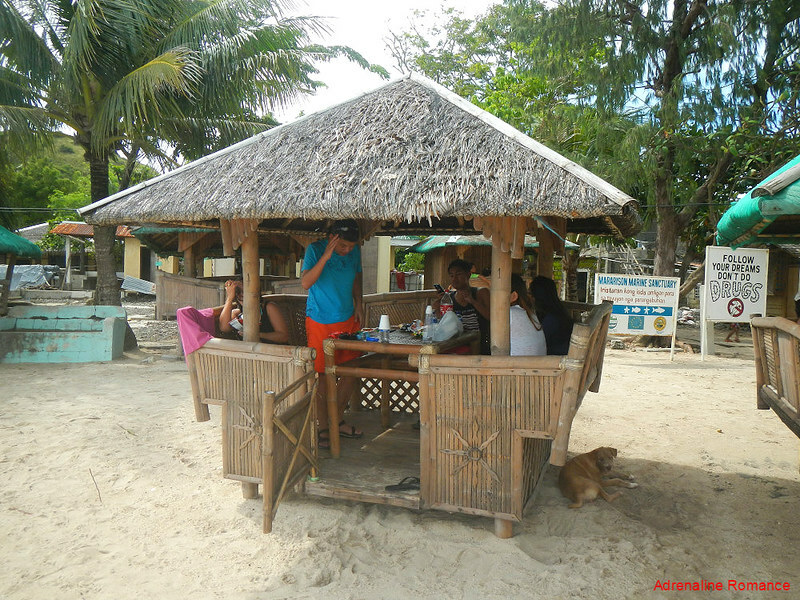 This is probably a great place for lovers looking for some privacy, friends who want to have a tagay (drinking) session, or fishermen who need to take shelter from a storm. The west side of Mararison Island is known for its fiery sunset. Unfortunately, with rain clouds closing in again, we couldn’t see the multicolored spectacle of lights. Nevertheless, the muted sunlight still looks alluring. We hiked back to the beach where we had another pleasant surprise. Schoolchildren aged 5 to 13 years old sang lively Kinaray-a songs of welcome. 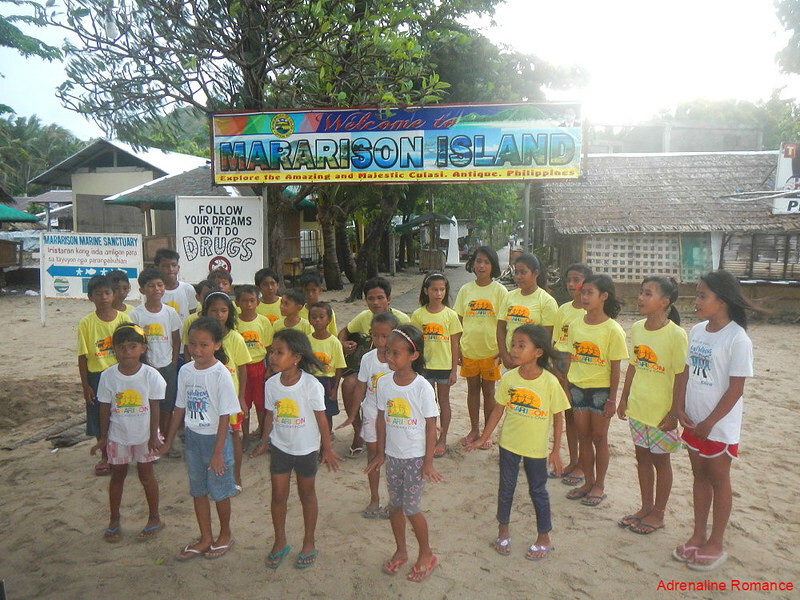 All the members of the Mararison Island Children’s Choir do not have formal training in singing, but their voices are superbly angelic! We kept cheering and clapping, totally impressed by their talent and prowess. They have more than 30 different English, Filipino, and Kinaray-a songs in their belt. They have performed in various concerts all around Panay, and they sing for the visitors of Mararison Island as well. 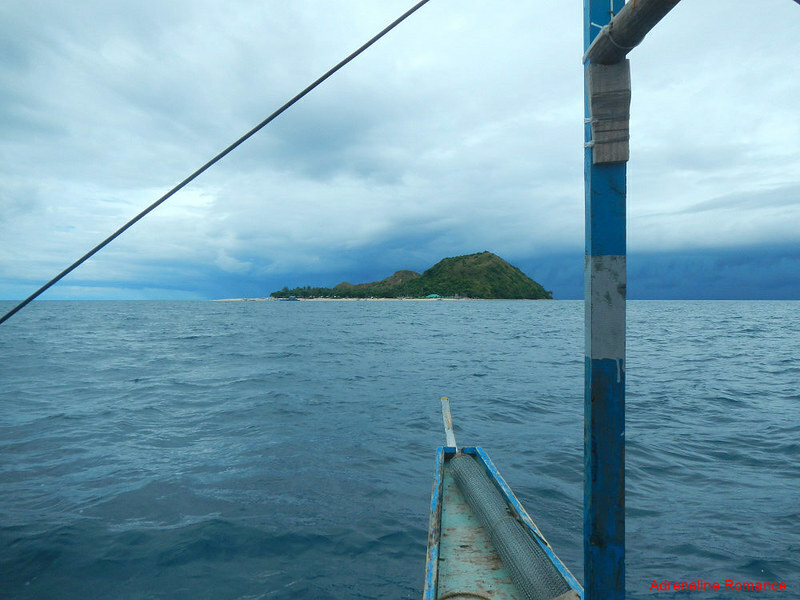 Unfortunately, we had to leave the island due to an impending thunderstorm. While the trip back to Culasi was smooth, the heavy rain had us all drenched to the bone. 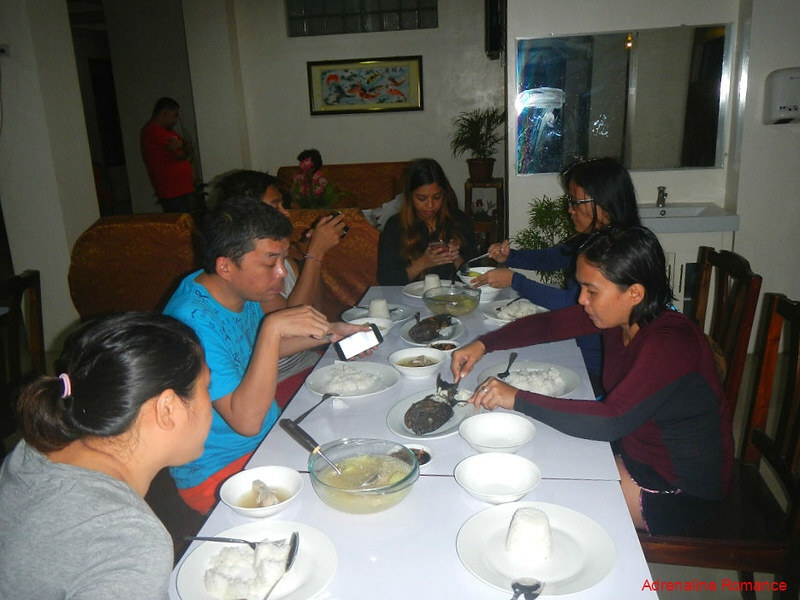 Fortunately, the restaurant that hosted us, Behnz Restaurant in LS Suites, prepared a delicious hot meal of perfectly grilled fish and spicy native chicken tinola upon our return. 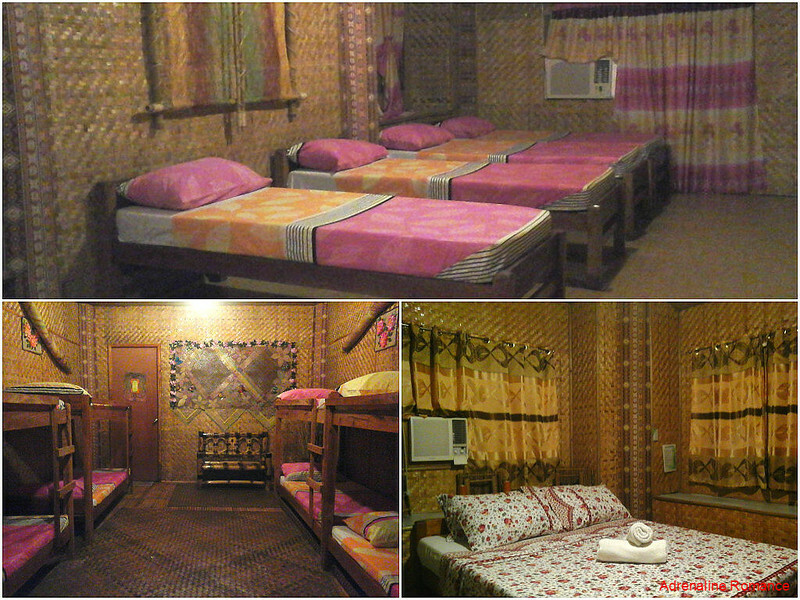 Our next night stopover was this very Filipino resort called Kawa Inn. Except for the modern appliances and fixtures, all their rooms and furniture are made of wood, bamboo, nipa, and other indigenous materials. Locally made and handcrafted bilaos, banigs (mats), paypays (colorful fans made of woven palm leaves), and sombreros (wide-brimmed hats) adorn the walls. The rooms are indeed very Filipino. Now, this is no ordinary foot scrub, we tell you. Hundreds of fish nibble away on the layer of dead skin on our feet and legs. The nibbling action tickled so much that we can’t suppress our giggles, screams, and laughter. We probably woke the neighborhood due to our loud laughter. Hahaha! Sorry, neighbors. 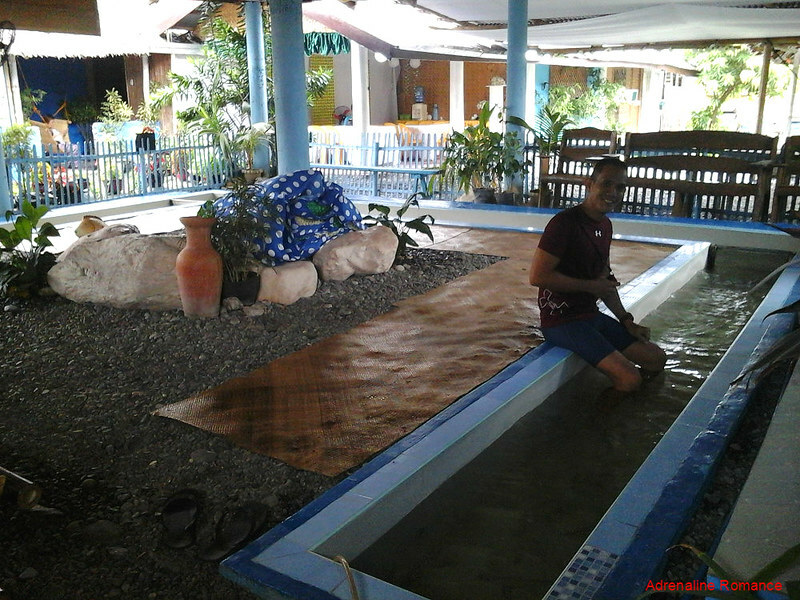 I couldn’t get enough of the fish spa, so early the next morning before breakfast was served, I immediately dipped my feet inside the “extreme” pool. The beginner pool is filled with small fish, which gently nibble on the layers of dead skin cells. The extreme pool is for the heavy duty work of removing calluses and thicker patches of skin. For an even more extreme fishy and ticklish adventure, you dip your entire body in their whole-body pool. Giggle, grit your teeth, and laugh your lungs out as tiny fish nibble on your belly, armpits, knees, and other parts of your body! Kawa Inn has Zen-like surroundings for utter relaxation. In fact, while waiting for breakfast, we felt so relaxed and rejuvenated by just looking at the garden. Green hills. Varied beaches. Amazing people. Mesmerizing scenery. Fresh air. Angelic voices. They all come together in this tiny paradise. We invite you to get off your daily grind, halt for a moment, and spend a well-deserved sojourn in Mararison Island. 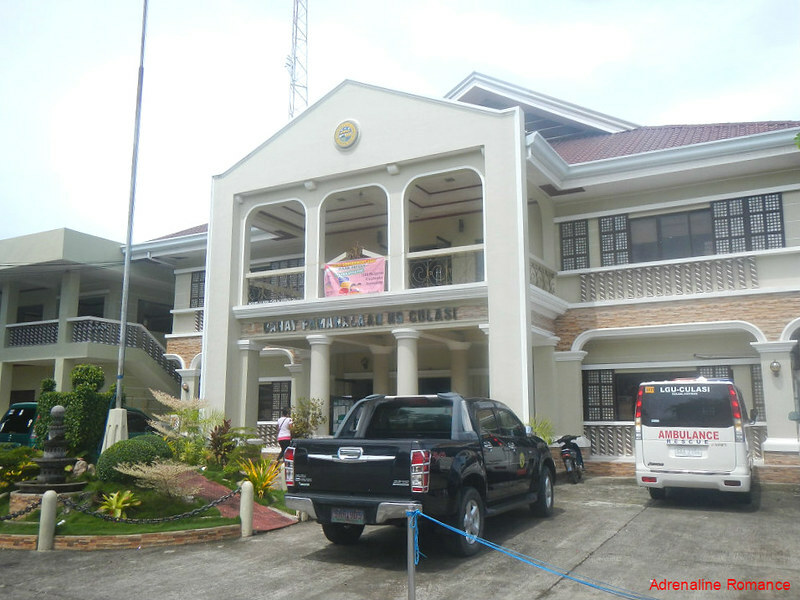 Once you arrive in Culasi, head first to the municipal hall to register. Then see the tourism officer/staff for assistance. 2. 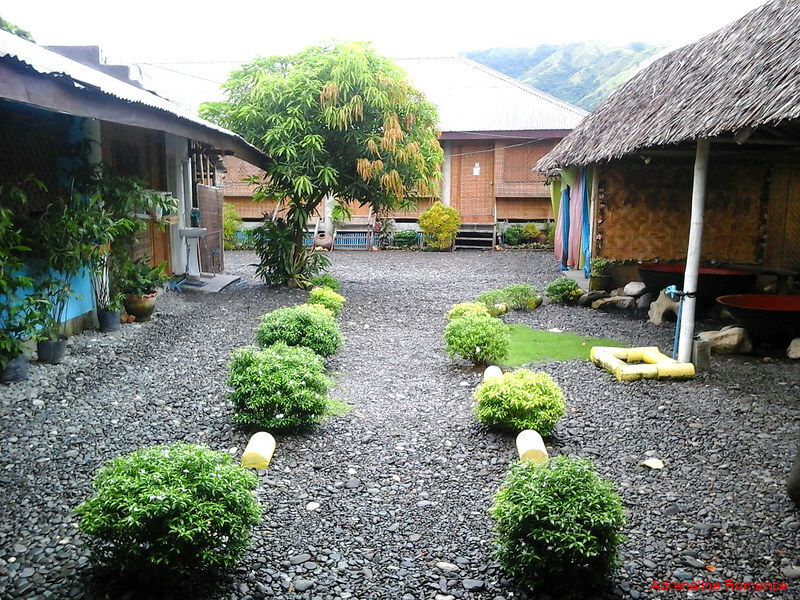 For accommodations in Culasi and Tibiao, stay at the Kawa Inn/Tibiao Fish Spa. Get in touch with Ms. Flordeliz Calawag, Manager. Use the following contact details for bookings, reservations, and information. 3. Summer is the best time to visit Mararison Island when the weather is calm and the sea is smooth. We recommend starting your island hopping adventure early in the morning where there aren’t many tourists. The charm, serenity, and the feeling of oneness with nature disappears when there are too many visitors around. 4. There are several homestays (no hotels or high-end resorts) in Mararison Island where you can spend the night. The village also has sari-sari stores where you can buy food and supplies. Note though that there are no high-end restaurants. 5. Note that electricity is rationed and scheduled. We are not sure though when is the schedule. 7. 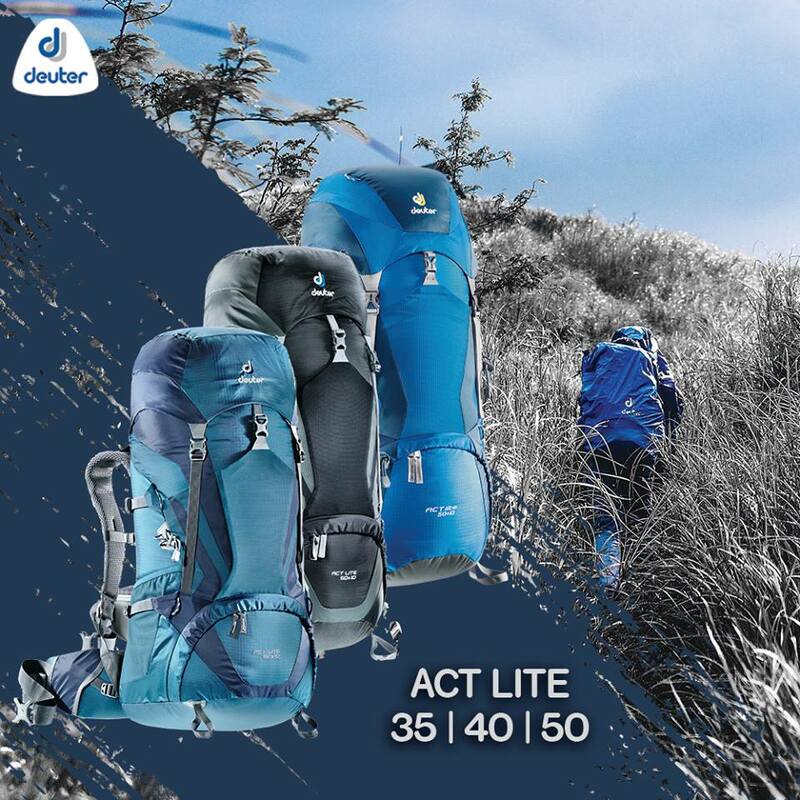 Don’t forget to waterproof your belongings by placing them in a high-quality dry bag. Alternatively, you can wrap your items in plastic bags before putting them in your backpack. The plastic acts as a lining to prevent your items from being soaked. 8. Do not litter and dispose of your garbage properly. Do not throw anything, even organic wastes, to the sea. Pack them up and bring them back to the mainland for proper disposal. 9. 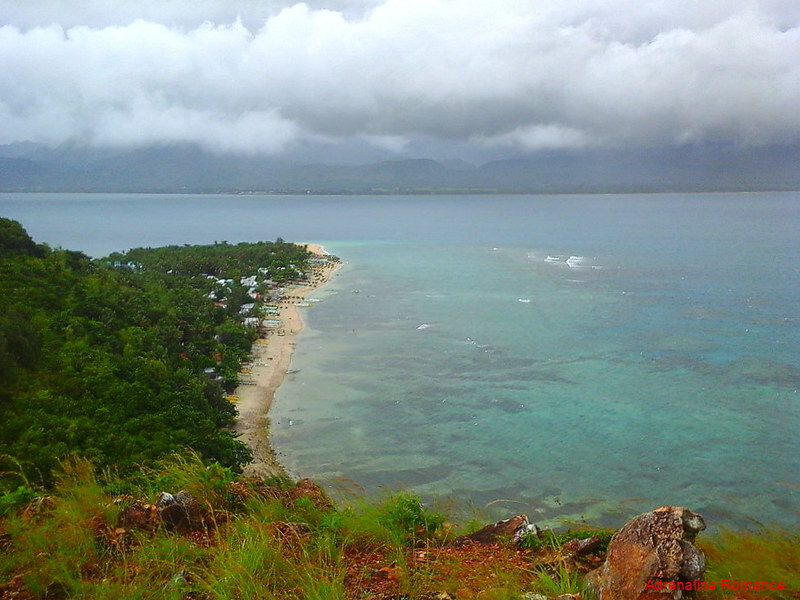 When snorkeling in Mararison Island’s marine sanctuary, take care not to step on or damage the corals. 10. Keep your sandals, flip-flops, or aqua shoes on to protect your feet from sharp rocks as well as broken glass and other debris that may be hidden under the sand. Great Antique adventure :). How many days did you guys spend for this trip? Oh, this is just half of it. Hehe! We still have five more Experience Antique adventures. Oh yes. Incredibly lucky! This was our first time being invited by the Department of Tourism. Now, that’s really something. Actually, we thought that we won’t be able to join this tour as it takes an entire week, and we have run out of vacation leaves. To our surprise, our bosses strongly encouraged us to grab the opportunity. And so we did. Antique is such an underrated province. It has so many destinations and adventures. 🙂 You won’t regret visiting Antique. Another beautiful island to add to our bucket list! Amazing! Looks like Antique shouldn’t be underestimated. It has its own beauty. 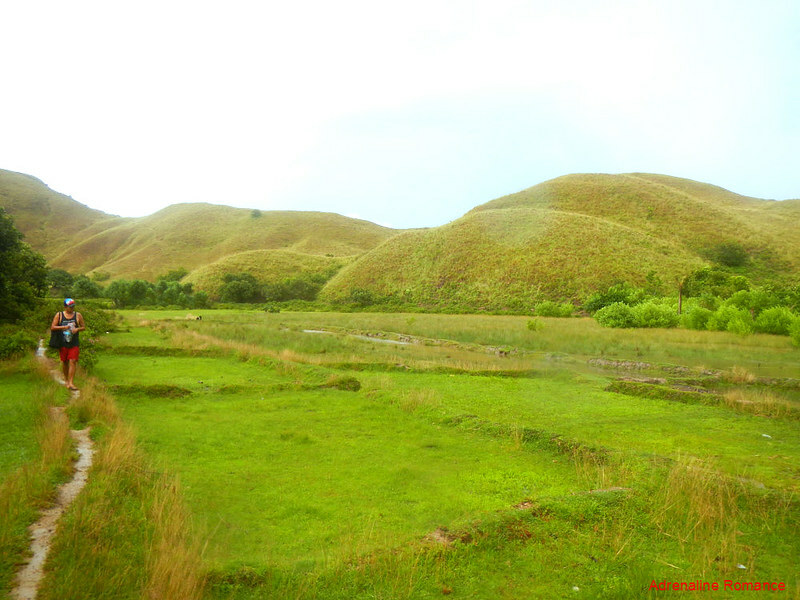 I agree – the green hills pretty much have a Batanes feel. I love that you were able to see how the locals live in their tiny but might island. I’m quite scared of the fish spa. Haha. I can’t imagine fishes nibbling my skin even though it’s dead skin. I know it’s good to get rid of it. Hahaha I’m just scared maybe. But they say it’s really a nice way to relax. Beautiful indeed! The scenery could have been better if the weather cooperated. That chicken adobo made me hungry and that has always been my favorite viand. These adventures that you guys have shared is like all in one. I have scarcely heard about that wave breakers, very interesting. 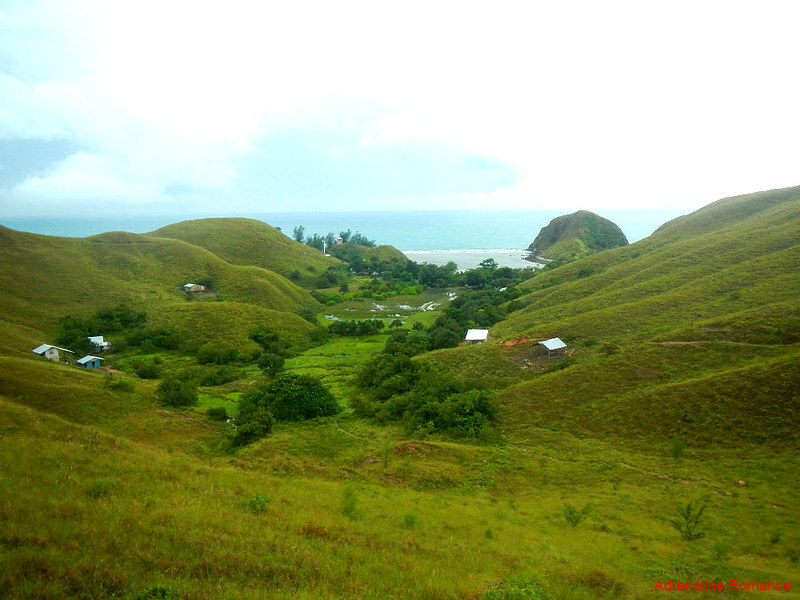 The white beach is very beautiful and the rolling hills are amazingly left in its innate state. The cunning little cave would be my favorite. I would love to hold my photo shoot there while wearing my OOTD (Hahahaha). I can’t wait to visit this place real soon. Thank you so much for always being kind to share all the hidden Gem that you guys have seen. Mararison Island is beautiful indeed. 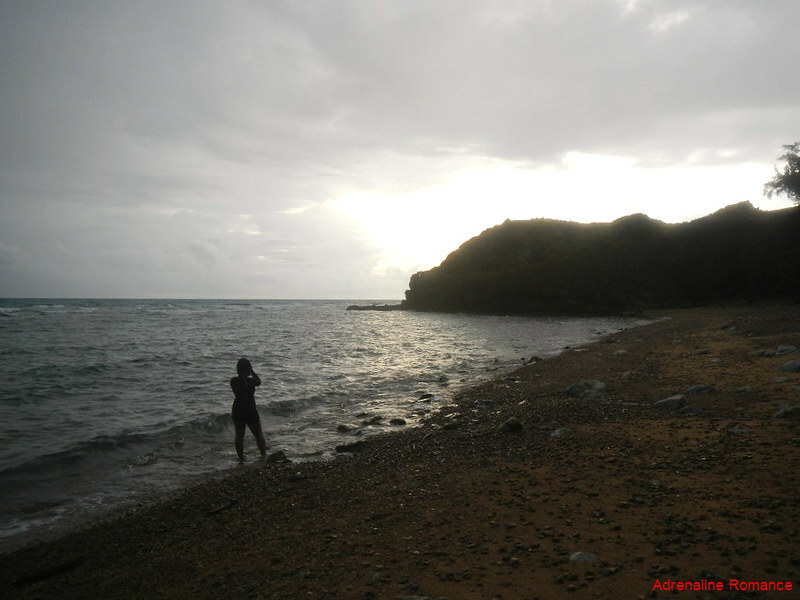 The landscape, based on the photos we see in the net, is somewhat similar to Batanes. The good thing is that Mararison Island is accessible from Culasi. It is also very affordable. You can stay in the island if you wish to spend more than a day because there are homestays. I’ll surely go back to your blog when I visit this place 😀. Thank you so much for always being kind. Our pleasure, sir. 🙂 It’s an honor for us to have you as one of our readers. This is a new island for me. Thank you so much for the insight, review and detailed information! Aww… Mararison was where my parents used to have outings with their friends in their elementary and high school days. I really appreciate you writing about Antique. And how you always remind people in general to always respect and take care of the places you visit. Now, I’m looking forward to more places you’ll trek and hike! 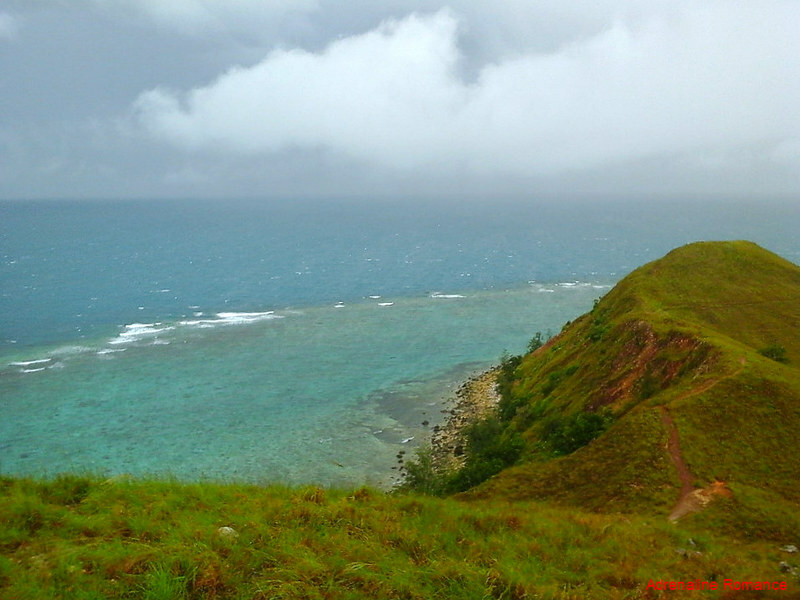 It was habagat (monsoon) when we visited there so the weather wasn’t so nice. We heard that the island’s full color and vibrancy comes alive during sunny summer months. We do hope so. 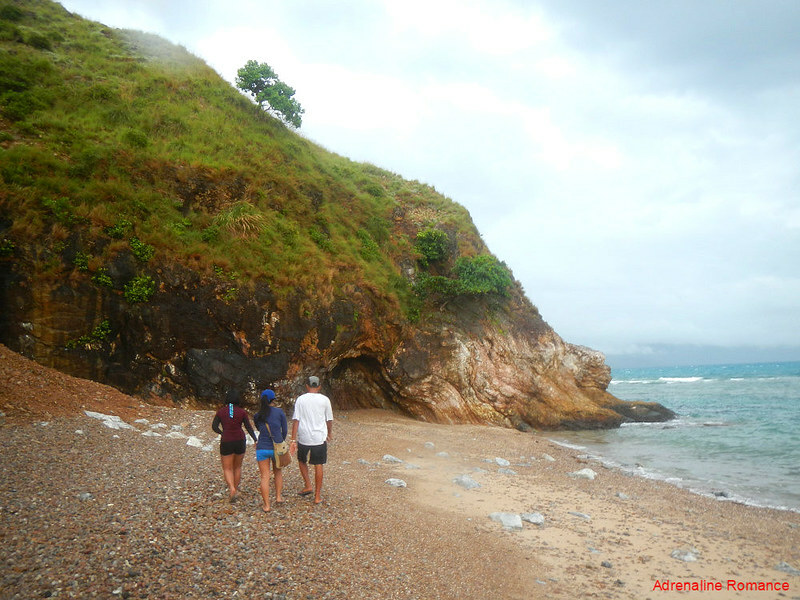 Going to Calayan Island, Batanes, and Babuyan Islands is very expensive for us because we’re from Cebu. And since a worthwhile visit there would entail several days, we have to plan out our schedules; we are full-time employees.